DON’T THROW THE CROWN AND IT’S ATTACHED BITS AWAY! A crown (or a cap) is a thimble placed on a tooth or a man-made foundation to protect a weaken tooth and/or to re shape and improve the appearance of the tooth. Here are some basic dental physics of crowns. They do not bend or wear like natural teeth. They rely totally on the foundation they sit on. They usually never change colour. Decay under the crown weakens the foundation or in the worst case scenario completely decay the entire foundation leaving nothing. Cement washes out over time. Excessive pressure due to a changing bite. 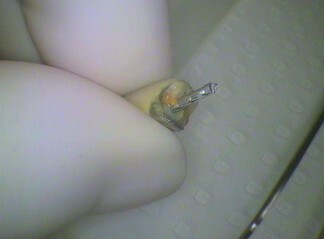 This can occur as crowns do not wear the same rate as natural teeth. The bite may have changed due to loss of teeth. Excessive grinding or clenching habits. An occlusal splint may be needed. 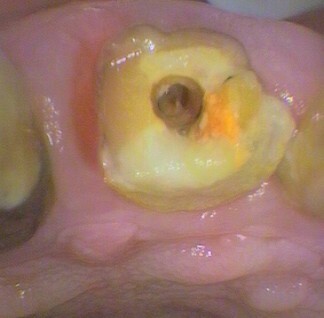 Internal cracks in the tooth/root progress to the point of breakage. The man-made foundation (i.e. filling that may have a pin or post) on which the crown sits, breaks. Decay in an adjacent tooth allows food to jam between the teeth causing unnaturally sideways pressure on the tooth with the crown. 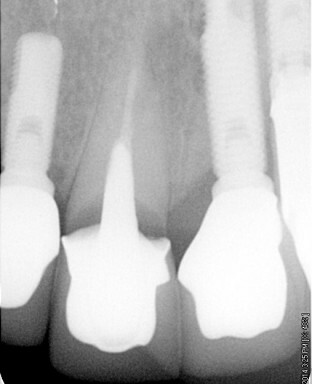 This can lead to bending forces that can cause cement to break down or the tooth to crack. Trauma on the tooth causes the root or crown to crack. The crown may not loosen straight away but over time with normal activity the cracks widen. If the tooth feels like it has moved even slightly, get immediate attention! Decay can progress very, very quickly through a crack or gap under a crown. Yes this is a warning! Very serious. Please do not leave it for weeks as it may mean the end of the tooth.